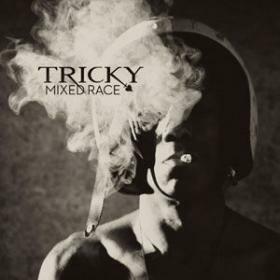 Tricky’s first album, Maxinquaye, was a stone(d) classic – a journey through a whole new soundscape, alternatively spacy and aggressive, melodic and percussive. His second, Pre-Millennium Tension, was very good; his third, pretty good; and his fourth just OK. The trend was pretty clear, so I haven’t paid much attention since then. But something I read or heard, I can’t remember what, convinced me to check out his 2008 release Knowle West Boy, and I was pleasantly surprised – nay, shocked – at how good it was. Tricky seemed to have rediscovered his sense of fun, of the possibilities of music. The follow-up, Mixed Race, is even better.